This afternoon I returned to my apartment in Bishkek after going for a fun run/hike in the Kashka Suu Valley, starting at the base of the ski hill. For the last two hours, it was pouring rain with a bit of hail and I was a freezing, shaking, goosebumped mess. I tried to make scrambled eggs to warm me up, but my trembling hands sent gooey raw eggs all over the countertop in the kitchen. The temperature outside couldn’t have been any lower than maybe 15 or 16 degrees, and in the mountains it was probably about 5 at the very lowest. I don’t just dislike the cold, I simply can’t handle it. I really can’t. However, two of my incredible friends, Natalia Watkins and Belinda Holdsworth Wikstrom, can’t seem to get enough of it. While I am of the humble opinion that most parts of Canada are simply uninhabitable in winter (namely every city east and north of Vancouver), Nat and Belinda CHOSE to travel to the very north of Canada in the dead of winter earlier this year in order to run a 120 mile self-supported race. Yeah. I asked them if they would let me interview them for my blog mainly because I’m SO proud of them and I really want to celebrate their accomplishments… but also because I REALLY want to try to figure out if they have completely gone off the rails. Friendly concern, y’know? (kidding). Let me first tell you a bit about this crazy duo. I first met Nat in RacingThePlanet: Australia as she was my assigned roommate before the race and then tentmate (featured in my race video here). We’ve gone on to race together in Nepal and share a chalet in Chamonix as we competed in the Ultra-Trail du Mont Blanc last year…. and consume a few bevvies in Hong Kong more recently. Natalia is an uber-accomplished professional in the banking world in Hong Kong, trilingual (if not more? ), and a serious athlete… but she would never describe herself this way and she may scold me a bit for doing so. I have never seen Nat without a smile on her face from ear to ear. Even when an injury forced her to drop out of the Australia race back in 2010, her smile shined through the frustration and tears and she was waiting there at the finish line for everyone a couple of days later. As you will see, Nat’s days of injury seem to be WELL behind her! Belinda and I both competed in RacingThePlanet: Namibia together in 2009, but we didn’t properly meet until I volunteered to join her in crewing for Paul McQueeney in his English Channel Crossing (featured in this video here). 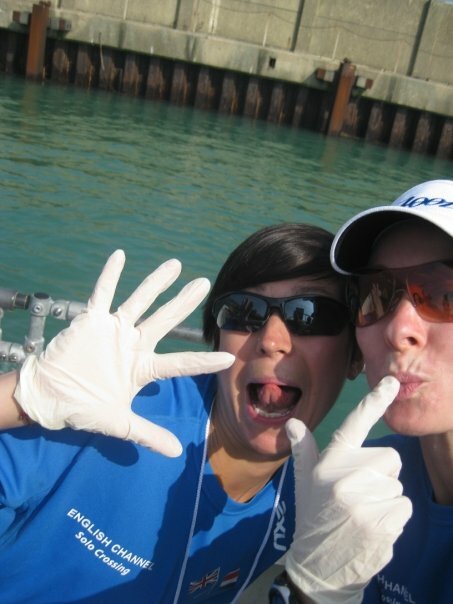 As we put on rubber gloves to prepare ourselves for our goose fat lubing duties on Paul (an integral part of any Channel swim preparation), I’d say we bonded for life. We raced together again in Nepal in 2011, where we shared a tent and a ‘vomiting virus’, and met up again in the (infamous) chalet in Chamonix with Nat last year. Like Nat, Belinda is also extremely humble, preferring to share self-deprecating stories about her mid-race bathroom incidents or mid-delusion conversations with mountains goats, rather than share stories of her incredible accomplishments. Like how she is a very active ultra competitor in some of the toughest races around the world, full-time mom, full-time professional, and often-time Ironman finisher. With a six pack. I’ve seen it – it exists. Belinda giggles as brightly as Nat smiles, so when I found out that the two of them were racing in the Arctic together, I knew that they would laugh themselves through anything. 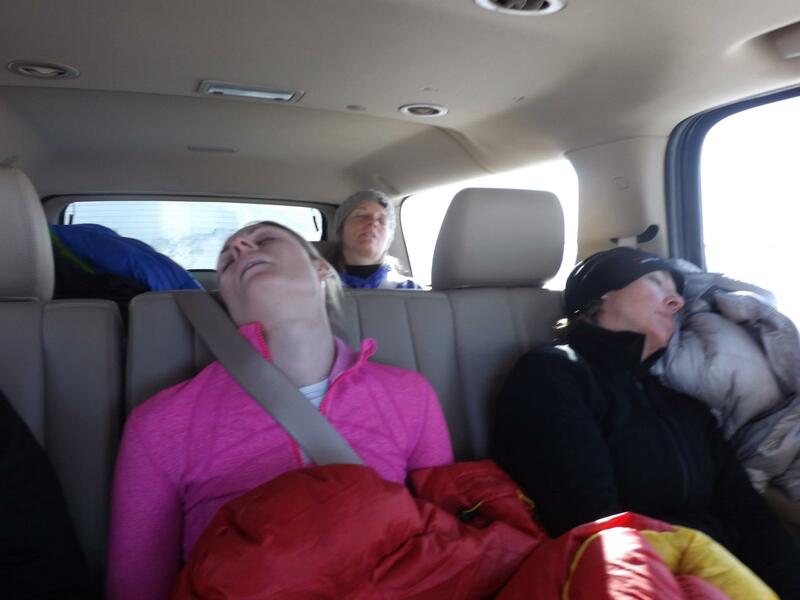 So now let me tell you about the race: the 6633 Extreme Winter Ultramarathon. This race is not for the faint of heart… or lungs, or legs, or mind. It is named “6633” because these are the latitude coordinates in minutes and degrees of the Arctic Circle. 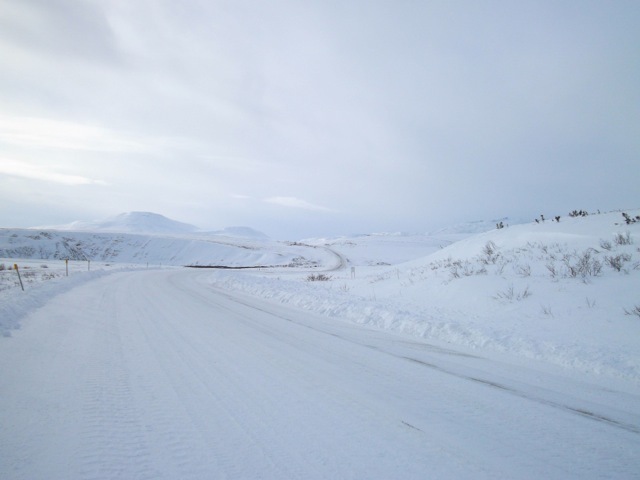 Athletes brave the snowy, icy, windy conditions of the Arctic Circle over a distance of either 120 or 350 miles, all the while dragging their sleds full of their supplies behind them. It is not a stage race like RacingThePlanet, which means that the clock is always ticking. Sure, you can stop to sleep in the snow, but you may either miss a time cutoff or end up missing some toes to frostbite. Your choice. Yikes. Goggles, a full face mask, a sleeping bag rated to -35 C, and a stove are just a few of the items required as part of the mandatory gear. Okay, enough intro, let’s find out from these crazy cats whether they are seriously brave or just seriously insane…. Ultra Runner Girl: Whhhhhhyyyyy on earth did you choose to do such an extreme race? I mean, I’m into adventure, but not the kind where it is more likely than not you’ll lose a digit or two to frostbite. Natalia: Ever since a race in the Gobi a couple of years ago, I’ve been wanting to do something that hit the opposite extremes of temperatures – just to see what it would be like! Belinda: It’s all Nat’s fault! I remember her telling me about this race last May just after we had finished a 250km desert race, and the pain of ultra running was still fresh in my mind. 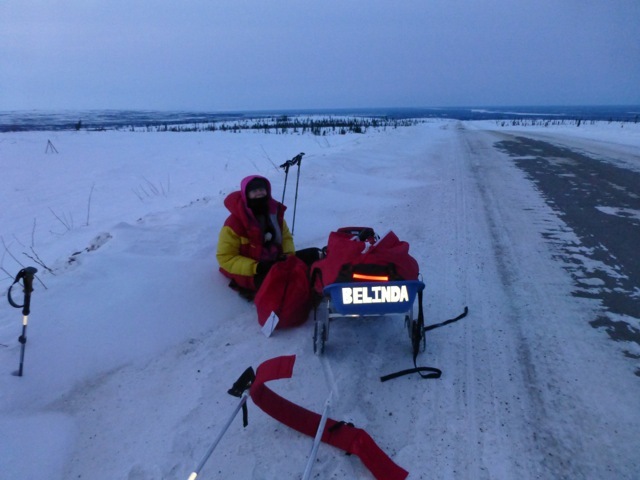 Her ‘selling points’ were…it’s 350 miles long, -40C, and we have to drag all of our gear behind us in a sled!?! She even tried flattery…’Please Bel, you’re the only one of my friends crazy enough to do this race with me!’ (of course I took that as a compliment, and felt quite proud! 🙂 I’m sure I remember my answer being ‘no, absolutely no way, not in a million years, I hate the cold, no, no, no’. But, just like childbirth, the pain of ultra running eventually fades and is replaced by ‘that sounds like fun!’. By November, I was missing Nat’s smiley face, and was yearning for adventure, and suddenly remembered the race in Canada she was signed up for…..and suddenly it seemed like a great idea..…..
Ultra Runner Girl: How on earth did you train for this insane adventure? Natalia: Lots of distance work – building up time on the feet and a lot of core training to prepare for the sled. Living in Hong Kong, the weather and conditions were something I really couldn’t prepare for. I had a few days in Switzerland and then Japan with “Gunter” (my sled) in the months leading up to the race to get familiar with the movement. 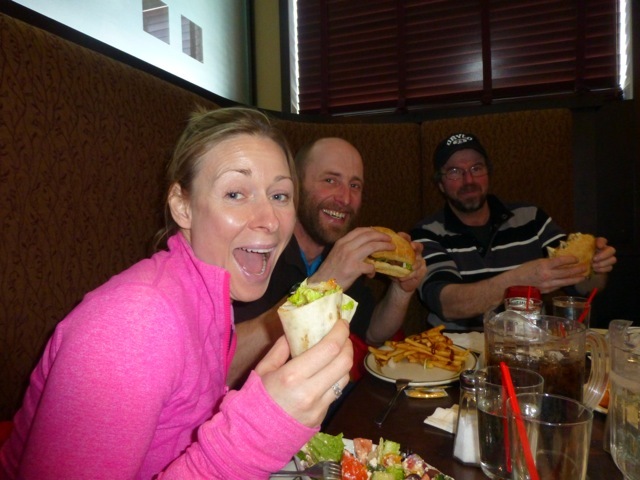 Ultra Runner Girl: Did you do anything different than other ultras you’ve trained for? 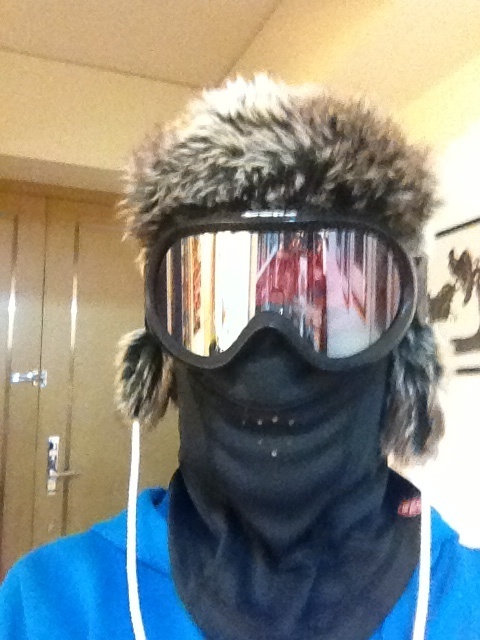 Natalia: A dose of madness helps as for other races you don’t find me hauling a sled round HK! I didn’t do that many sled sessions and I kept very quiet about them – I went out very early in the morning! Belinda: Training with my gear rather than just physical training was the difference between this and desert races. I did try my ‘sleep system’ (sleeping bag, mat, and survival bivvy bag) out for one night before the race – I was told you had to be able to be in your sleeping within minutes of stopping so that you preserved as much heat as possible and didn’t get cold standing around. I did have a great night of sleep in it, although the element of danger and survival wasn’t so apparent on my living room floor as it was once I was out in the Arctic. I also took my sled out for a couple of test runs around my village, using my 5 year old daughter as a training weight. Not only did she simulate the weight of my full pack perfectly, she also was very good at shouting abuse at me the whole time….’faster mummy, faster. You are SO slow. I bet daddy would go much faster than this’. She seemed to enjoy it though, and I didn’t get arrested or committed to a mental institution, so I would say it was a complete success. 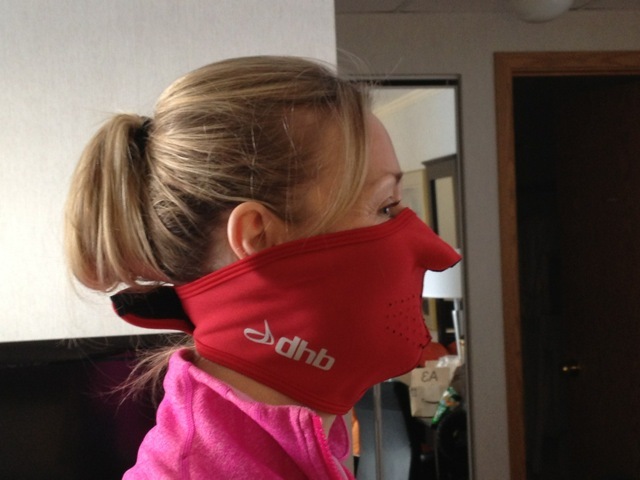 Ultra Runner Girl: I noticed that there was a ‘sled testing session’ before the actual race. Did that go well/badly and did it give you confidence or fear for the race? Natalia: I’d been very nervous about lighting my stove with gloves on, but the training session gave me completely unwarranted confidence as it lit immediately – when I was actually out there it was a real struggle! Belinda: I hadn’t even got my stove out of the packaging before the testing session! I was relying on Nat’s fantastic cooking skills, and the fact that she had told me that she had successfully made at least two cups of tea from her stove in her apartment in Hong Kong. She helped me take my stove out of its plastic wrapper, and get it lit, with only minor burns to my fingers. Another success for the girls. 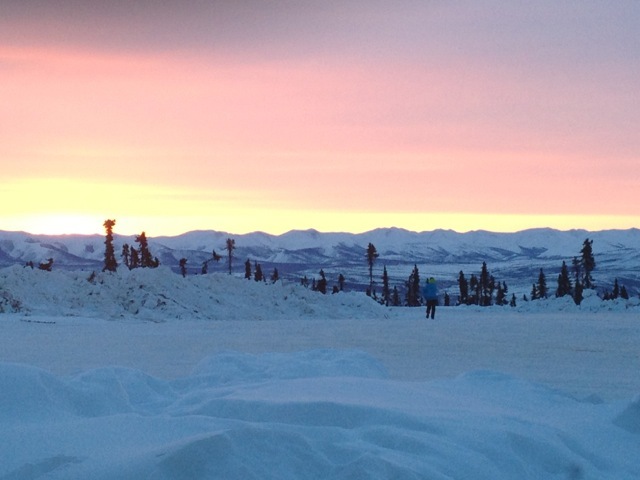 Ultra Runner Girl: What did you pack in your sled? What did you leave behind? What did you wish you’d brought with you? Natalia: I packed my bivvy with the mat and sleeping bag in, a bag with equipment, a bag with food and a bag with some extra clothes – everything was really organized so it took the minimum amount of time to access. I don’t think I’d leave anything behind for my next cold race but I would get a different hydration solution as you a need a camelback that can fit between your base and mid layer – the only way to stop it freezing. My backpack was on top of my mid-layer so froze within about 10mins – my make-do solution was to put the bladder into the inner pocket of my jacket….much like walking around with a colostomy bag….it worked but certainly wasn’t elegant!! Belinda: What didn’t I have in my sled!! They say that the secret to cold weather racing is having military organisation, so that you know exactly where everything is and can access it in seconds. Lets just say, I was never in the military. My biggest error were my wet wipes. Essential in the desert for quick clean ups. Absolutely useless in the Arctic, as they froze solid into a brick just adding extra weight and were completely useless. Ultra Runner Girl: I read that checkpoints were between a marathon and almost three marathons apart, which is drastically longer than any stage race we have done together. How did you manage this? What extra considerations did you have to make? Natalia: Make your own imaginary stops – say every 2 to 3 hours, stop, have a hot drink. I don’t know that it was really any difference, you’re still thinking checkpoint to checkpoint. Belinda: Nat did a great job of keeping us motivated by pretending that we had checkpoints every 10kms as in previous races we have done together. We would just pretend there was a checkpoint. And to be honest, with the sleep hallucinations, they seemed almost real! Ultra Runner Girl: Did you listen to music and if so, what was on your playlist? Natalia: I often listen to music in a race but not this one – too much laughing with Belinda! Belinda: We actually weren’t allowed to listen to music during the daytime, as we were racing on a road and needed to be aware of oncoming traffic. So Nat and I kept each other going with fantastic stories, and crazy games. It’s amazing how well you get to know someone over hundreds of miles of arctic tundra! Ultra Runner Girl:What speed do you think you were running at? Natalia: A crawl would have been quicker – every time I tried to speed up I started sweating and had to slow down again…..sweating is not something you might associate with those temperatures but a serious issue if your sweat freezes on you. Belinda: ‘Running’ has to be used in the loosest sense of the word in relation to our pace. I think I saw sloths passing us…..
Ultra Runner Girl: Can you describe your best moment? Your lowest moment? Natalia: The best memories are being under the Northern Lights on the first night and the continuous laughter of the trip – I seriously believe that a sense of humour can get you through a lot. Low moment – that’s got me thinking….I really didn’t have one, I absolutely loved this race. Ultra Runner Girl: What was it like to have to cook your own food in such brutal conditions? Natalia: I’m not sure that putting hot water in a bag really constitutes cooking….I like the fact that you don’t have any choices during a race, there’s a bag, it says “Stage 1” and it’s got an orange foil bag in it……that is dinner! Belinda: I had a thermos that I would put a freeze dried meal and hot water in before I left the checkpoints. A few hours later, we would stop for lunch, and it would be ready! Cooked to perfection! Easy 🙂 The only down side to this was that when I pulled out of the race, my thermos was still half full of alfredo pasta. I completely forgot about this until ten days later after I had returned home and began to unpack my kit. Let’s just say, it was a little ‘overdone’ after ten days!! 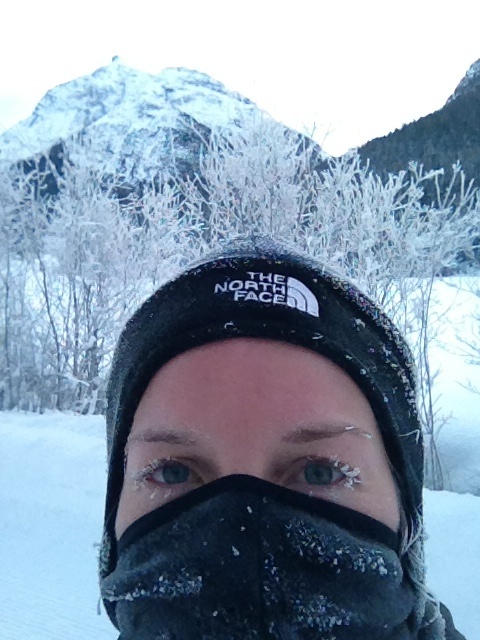 Ultra Runner Girl: We are all wondering… how did you manage the bathroom breaks in the extreme cold? Natalia: Very, very QUICKLY – though this is really a question for Belinda! Belinda: I had an onset of diarrhea during the first night of the race (which stayed for the next three days!). It was one of those moments when you need to go to the toilet…now! And when the call of nature comes, you answer it! At -40C, and when your wet wipes are frozen solid, you don’t mess around much. I did manage to perfect my technique over the race though. By the end I didn’t even need to take off my sled – I could just squat and go, and be back on the move again in under 15 seconds! Ultra Runner Girl: you sleep? For how long and how did you stay warm? Natalia: Not much – I definitely need to practice sleeping in a bivvy in those temperatures….it was perfectly comfortable but I was quite freaked-out by the feeling of claustrophobia and worrying about the zip on my bivvy freezing. Belinda: I have a fantastic habit of being able to sleep anywhere. This includes on the side of the road in the arctic at -40C. We decided to bivvy out during the first night of the race, and I was so tired that there wasn’t much thinking involved – just into my bag and off to sleep. I did wake up a bit freaked out a couple of times though as I kept thinking that I was suffocating in my bivvy bag (and I kept telling myself that I was just being stupid, until I read the giant warning label on my bivvy a few days later which said ‘Danger, beware of possible death through suffocation – do not seal completely!’). Nat said she heard me snoring for most of the hours we spent bivvying out though, so apparently I was comfortable! After that we managed to spend every night at a checkpoint, so we slept inside (albeit on a floor somewhere), but that felt like luxury!). Ultra Runner Girl: You both made the (wise) decision to stop at some point. What was going through your head when you decided to finish? And how many times did you think about pulling out before you actually did? 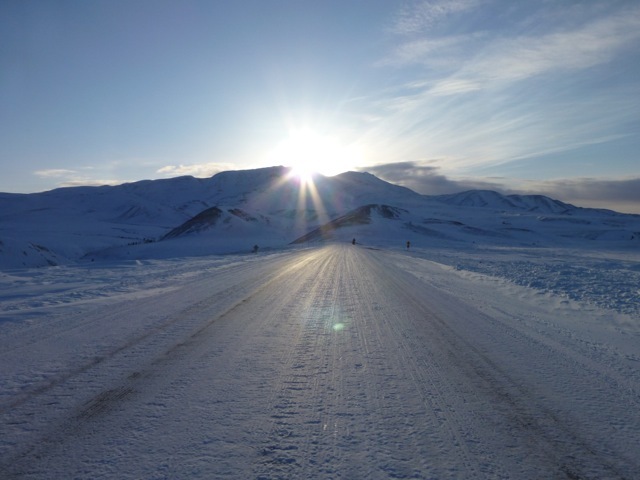 Natalia: I did the 120 mile race, I just realized that 120 miles was a good introduction to Arctic racing – I finished feeling very happy and strong but knowing I’m not ready for 350 miles YET. Belinda: I didn’t actually think about pulling out until I finally did. I had entered the 350 mile race, basically because I am mental, and have no concept of common sense or moderation! I figured that if I was going all the way to Canada, then I should give the whole distance a shot! A few days in we realised that we were cutting it fine to be able to meet the cut-offs for the 350 mile race. I was ever the optimist though, and still believed I could do it. Nat smartly finished the 120 mile race, and went off in glory to take a shower, have a nice meal, and a few beers. I pushed on in to the next section, which was just over 60kms, full of energy, enthusiasm, and thinking I would easily be finished by 9pm that night, and I could get a good nights sleep before starting the 80km section the next day. At 2pm in the morning, when I found myself asleep on all fours by the side of the road with still 5kms to go to the checkpoint, I realised that I was maybe not moving as fast as I had hoped, and the chances of me actually finishing this race were pretty much zero. At that point, the hot shower and beers that I knew Nat had been enjoying seemed very tempting, and I decided to pull too, and join her at the bar! Ultra Runner Girl: What did you learn from this experience? Natalia: Belinda pees a lot – sure we can come up with a better answer! I always read people’s reports of life changing moments and profound thought but really it’s much more basic for me. Belinda: Nat…they weren’t just pees!! Ultra Runner Girl: Would you do it again? 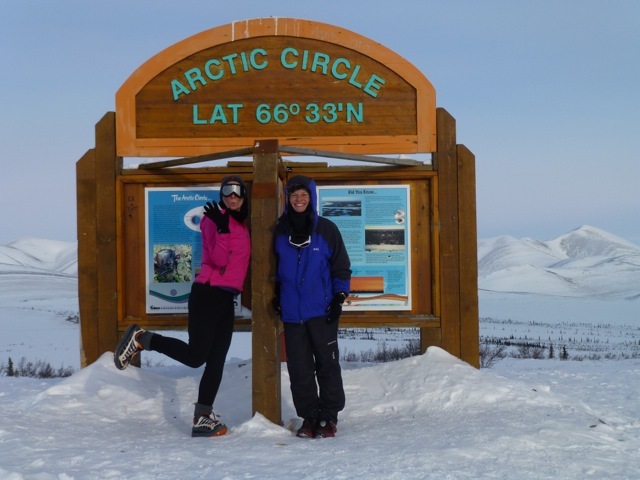 Natalia: I will definitely be back – I loved the Yukon and Arctic racing….I’m already planning the next one! Belinda: Hell yeah! I am now the proud owner of my very own sled, and I intend to spend many more hours on the trails with her. 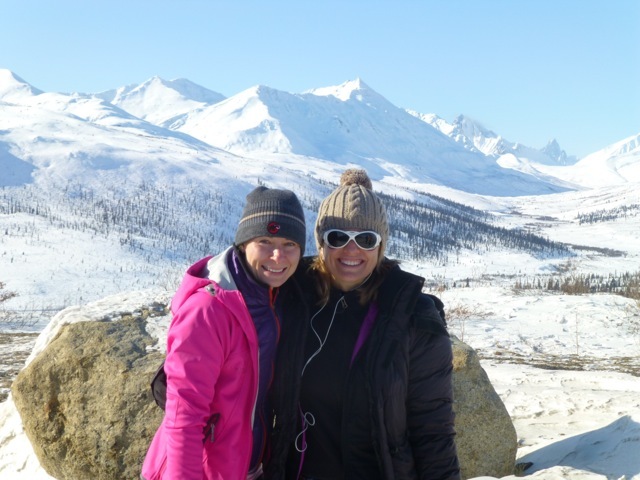 I have spotted a race in Scandinavia that I would like to do next January, and Nat and I are planning to do the Yukon Arctic Ultra race together in 2015. Ultra Runner Girl: What is next on the list? Natalia: The NF100 in Sydney [URG note: Natalia just completed this and completely smashed it!!!] and I’m looking forward to being in Chamonix with you and Belinda for UTMB (though terrified by the race) in August….. and endless plans, one of them being the Yukon Arctic Ultra….just the distance to decide on! Belinda: I’m off to China next week to take part in the Gobi March, I am doing RTP Iceland in August, there are a couple of 100km races in the mountains that I have my eye on this summer, and then of course it will be the Chamonix reunion at the end of August…I have a date with my sweeper friends that I need to keep! Ultra Runner Girl: Any final comments? Belinda: Not sure what else to say, other than DO IT! Take the plunge and try a cold weather race. It is something completely different to the desert stage races that we are used to, and it is so much fun. So many new things to learn, new places in the world to see, new people to meet, new kit to buy. Steph – you’re coming to Canada with us the next time we go! Get that sled ready!! I will finish up this interview with one of my favourite photos of the dynamic duo once they finished the race. I think it says it all! Please feel free to comment on this article and help me in telling these two fearless ladies how amazing they are! An absolutely fantastic interview! I love this sense of humour. You girls are great!! Nice interview! A very interesting duo. I have a question, do you now what race it was, Belinda said she spotted in Scandinavia in January? I know, eh? Nat and Belinda are two of the toughest girls I know! Awesome. Thanks for sharing the interview. You are such an inspiration! I’m two years late in reading this, but what an adventure! You two sound awesome.